Presented by Indiana Wesleyan University’s John Wesley Honors College (JWHC), the prize recognizes a published book’s ability to reflect the highest ideals of Christian scholarship. “Gregory’s wide-ranging and synthetic study is a model of Christian scholarship that challenges reductionist tendencies among historians and illuminates the character and genealogies of some of the fundamental dysfunctions of contemporary society,” says David Riggs, JWHC executive director. Gregory, the Dorothy G. Griffin Collegiate Chair in Early Modern European History, says he was delighted by the honor. 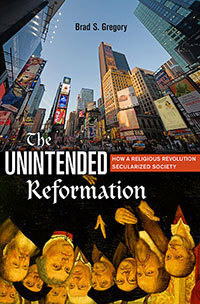 Gregory’s research traces the relationships among religion, science, politics, morality, capitalism and consumerism, and higher education from the Middle Ages through the Reformation era to the present. But, Gregory argues, fundamental disagreements today about how we should live and the lack of a shared view of the common good — due, in part, to the proliferation of divergent secular and religious views — tends to cause friction and faction when those freedoms are exercised. 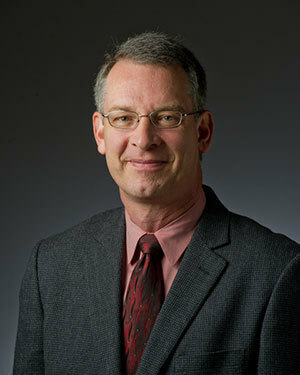 In notifying Gregory of his award, Indiana Wesleyan University Provost David Wright said, “Our selection committee believes your book best ‘demonstrates how rigorous Christian thought is brought to bear on disciplinary or interdisciplinary forms of scholarly engagement.’ Our committee members noted their significant respect for both the breadth and the depth of the details defining your work. Gregory will receive a monetary prize, an engraved glass sculpture from Kokomo Opalescent Glass, and the opportunity to offer the keynote address at the April 18, 2013, IWU Faith and Learning Luncheon. Originally published by Kate Cohorst at al.nd.edu on Oct. 3, 2012. Originally published by Kate Cohorst at al.nd.edu on October 03, 2012.